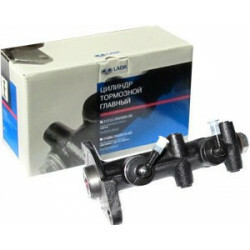 Brake cylinders There are 5 products. 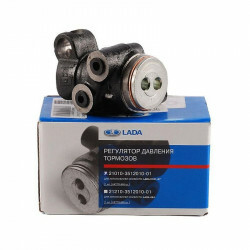 In this section you can buy the brake cylinders for Lada Niva 1700. 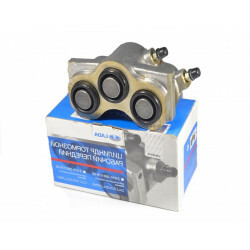 The rear brake cylinder is a metal device, on each side of which there are two pistons. It is thanks to his work that the brake pads are pressed against the drum. 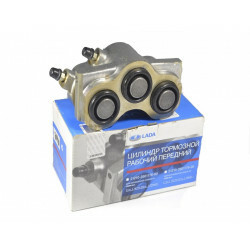 The brake cylinder is very reliable and walks for a long time. But there are cases when it is required to replace it. One of the reasons may be product marriage. Since it is metal, the case can be cracked, which will cause a leakage of liquid. At the bottom of the pistons there are rubber cuffs that can be damaged during operation. They can get dirt and moisture, which will result in the failure of the pistons. Also, one more leakage point can be a fitting for bleeding the brakes. 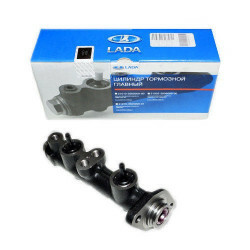 If you notice that the level of the brake fluid in the tank is lower than the previous one, then it is worthwhile to inspect the elements of the system. The failure of the rear brake cylinders can be caused by the presence of streaks on it. Or, if the drum is removed, depress the brake pedal, and if only one shoe moves or no movement occurs, then a replacement must be made.